This original vintage Strand Electric Patt 23 Stage Light has been fully refurbished and is polished to a chrome shine finish. 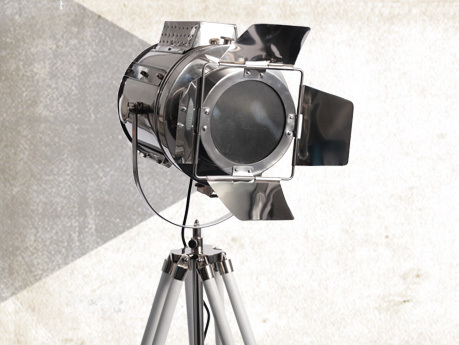 It comes complete with an incandescent 2700K bulb and a chrome/wooden tripod. 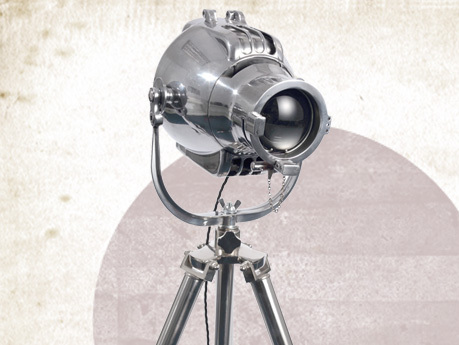 This designer vintage Table Searchlight is polished to a chrome shine finish and comes complete with an incandescent 2700K bulb and a mini chrome/wooden tripod. 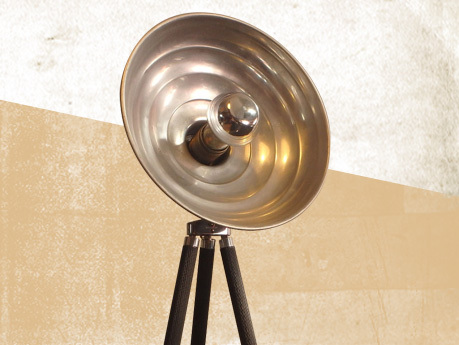 This genuine vintage Furse Oval Spotlight is polished to a chrome shine finish and comes complete with an incandescent 2700K bulb and a chrome/wooden tripod. This original vintage Strand Electric Patt 123 Stage Light has been fully refurbished and is polished to a chrome shine finish. 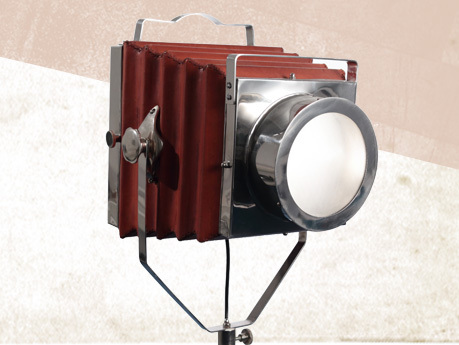 It comes complete with an incandescent 2700K bulb and a chrome/wooden tripod. 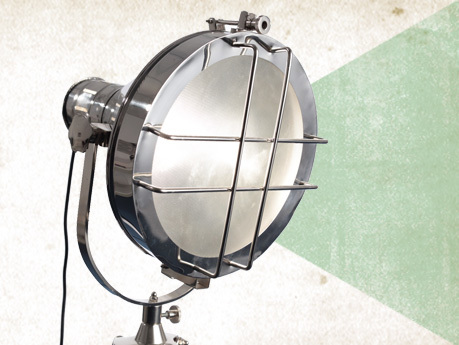 This original vintage Strand Electric Spotlight 763 has been fully refurbished and polished to a chrome shine finish. 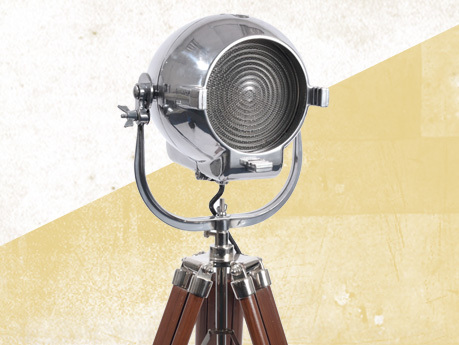 It comes complete with an incandescent 2700K bulb and a chrome/wooden tripod. 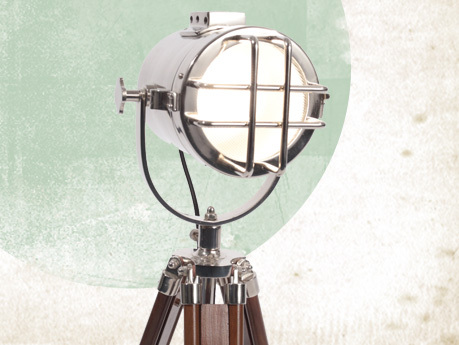 This designer vintage Nautical Cone Searchlight is polished to a chrome shine finish and comes complete with an incandescent 2700K bulb and a chrome/wooden tripod. 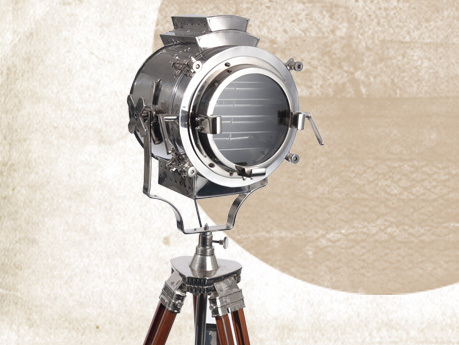 This designer vintage Marine Spotlight is polished to a chrome shine finish and comes complete with an incandescent 2700K bulb and a chrome/wooden tripod. 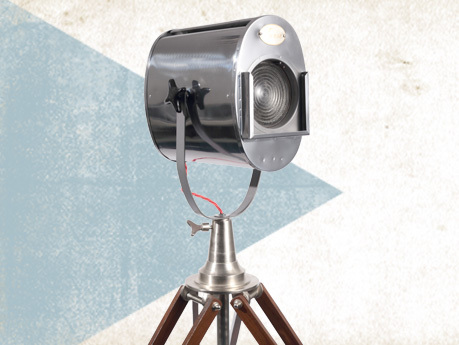 This genuine vintage Furse Spotlight is polished to a chrome shine finish and comes complete with an incandescent 2700K bulb and a chrome/wooden tripod. 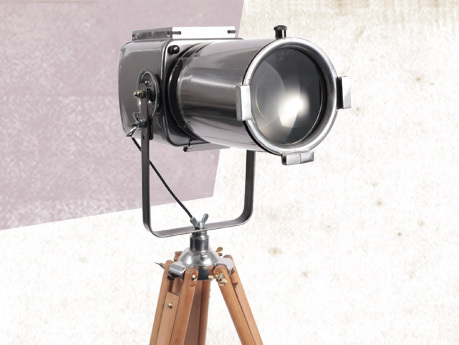 This designer vintage Photographic Camera Style Light comes complete with an incandescent 2700K bulb and a chrome/wooden tripod. 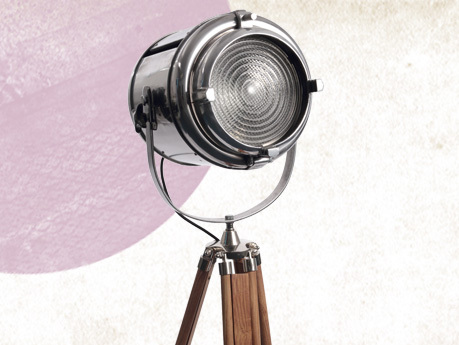 This designer vintage Open Face Light is polished to a chrome shine finish and comes complete with an incandescent 2700K bulb and a chrome/wooden tripod.